The longer my life is the harder is writing about what I truly think about man-woman relationships. Not of that I am tired mass media brainwashing any topic reporters can fetch but mainly the fact that young generation (my guess only) doesn’t feel elegance and mystery of ancient Chinese text the way I feel. Sad thing, right, but there is still a small trace of stuff worthy to think this evening, I mean three quotes from the second volume of Encyclopedia of Taoism. The author of this entry is Gil Raz, and he has some other publications on the topic. Just let’s imagine for a couple of hours a woman who can teach a modern man ‘military, sexual, alchemical, and divination techniques’. “Also known as Mysterious Woman of the Nine Heavens (Jiŭtiān Xuánnǚ 九天玄女) or Mysterious Woman, Damsel of the Nine Heavens (Jiŭtiān Xuánnǚ niángniang 九天玄女娘娘), the Mysterious Woman instructed the Yellow Emperor (Huángdì 黃帝) in military, sexual, alchemical, and divination techniques.” — Gil Raz. “In relation to sexual practices (fángzhōng shū 房中書), the Mysterious Woman is usually mentioned with the Pure Woman (Sùnǚ 素女). 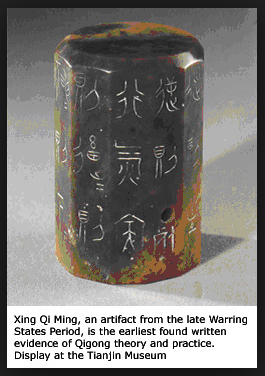 While absent from the early manuals unearthed at Mawandui, their names are listed among the main sexual practitioners in post-Han sources, including the Baopu zi.”— Gil Raz. My other guess today is we are still lucky having several wonderful examples of fángzhōng shū 房中書 from Mawandui findings. I mean my favorite sources of erotical fantasy: Hé Yīn Yáng 合陰陽 (Conjoining Yin and Yang), Shí Wèn 十問 (Ten Questions), and Tiānxià Zhìdào Tán 天下至道談 (Discourse on the Ultimate Way Under Heaven). 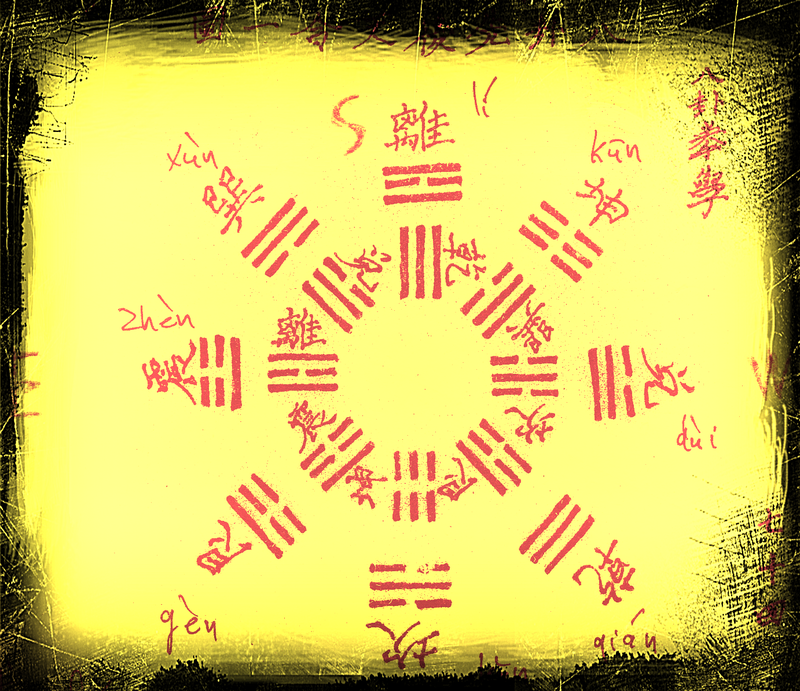 “Within numerological divination, the Mysterious Woman is particularly associated with the liùrén 六壬 method (see Kalinowski 1983; Kalinowski 1989—90, 91) based on the shì 式 (cosmic board, cosmograph), which is also known as Xuánnǚ shì 玄女式. — Gil Raz. Unfortunately, I don’t feel myself familiar with this particular kind of divination, but that reminds me another source of divination technique—I Ching— and it looks much, much stronger to my taste. That kind of things is truly interesting stuff when one term -xuánguān 玄關, for example – can join our body constituency and very general philosophical pointing. Three quotes were chosen to keep reflection going, the entry in the body of Encyclopedia of Taoism this time was written by Monica Esposito, a great sinologist. I put tones as usual, and I do think this act makes citations look better and easier to pronounce and track term further in the dictionaries. “In neidan, the Mysterious Pass represents the time and place in which an alchemist joins the complimentary antinomies on which he or she works, such as inner nature and vital force (xing and ming), Dragon and Tiger (longhu), lead and mercury, Fire and Water, heart and kidneys, or kăn 坎 (Yang within Yin) and lí 離 (Yin within Yang).”—Monica Esposito. “The Mysterious Pass, which opens beyond space and time, is inconceivable by means of discursive thought and has, by definition, no fixed position.”—Monica Esposito. “Only here [in the Center] a new union can occur, as the Mysterious Pass is the ideal space and time to experience the interpenetrating fluctuations of Yin and Yang. The Mysterious Pass is therefore the primordial Chaos (hundun) containing the germ of life—the pre-cosmic sparkle of Original Yang and Original Yin—which is the prime mover and the materia prima of the alchemical work.”—Monica Esposito. Practically speaking, we do it everyday — placing antinomies (“inner nature and vital force, Dragon and Tiger, lead and mercury, Fire and Water, heart and kidneys”) in one fuel pot and witching fantastic brew — but as always we can do it in Western way or an Asian one, and those people who choose Asian I consider a little bit smarter, as Asian philosophy having had longer history to live in peace with nature in and out of us because this nature definitely can be and is as a matter of fact just merciless to human race. To see this world bewitched one should have very special eyes. In Modern Chinese ‘xuánguān’ means ‘entrance hall, front door, porch, vestibule’. Once again, it is so good to read this encyclopedia to learn some facts and details from past time which are reliable lighthouses to lead to present day. Two quotes from the article written by an outstanding sinologist Catherine Despeux look better with Traditional Chinese and tones in Pinyin and dates. (I have to say that recently I have found yet another interesting book, A History of the Japanese Language by Bjarke Frellesvig and every time he speaks on Chinese intersection he uses tones but that’s totally another story). 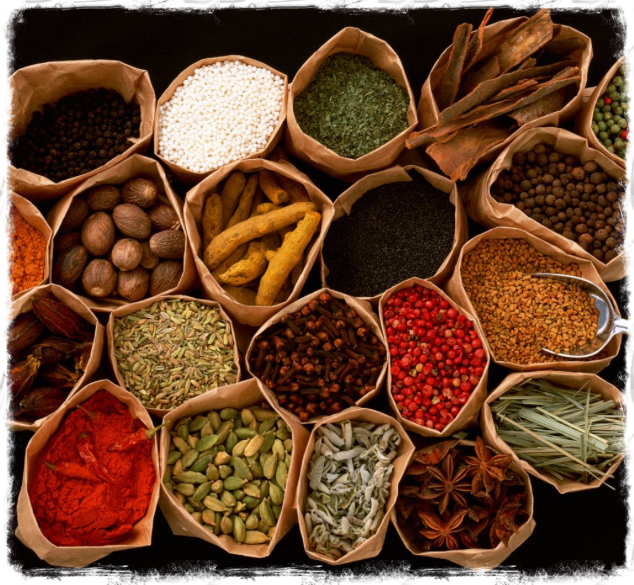 “Methods for circulating breath are attested during the period of the Warring States (403-221), became well known during the Six Dynasties (220-589), and developed during the Tan (618-907) and Song (960-1279) periods. Their most ancient source is an inscription dating from ca. 300 BCE that describes the circulation of breath throughout the body (see Harper 1998, 125-26). In the Han (202 BCE-220 CE) period, circulating breath is mentioned in several texts, including the Huángdì nèijìng (Língshū 靈樞, sec. 11.73).”—Catherine Despeux. “Circulating breath is often associated with gymnastics (dăoyĭn 導引) and breath retention (bìqì 閉氣). It is generally performed in a reclining position for 300 breaths, before one expires the breath slowly and inaudibly. One begins with retaining breath for twelve breaths (the so-called “small cycle,” xiăotōng 小通), and then progresses up to 120 breaths (the “great cycle,” dàtōng 大通). Tang documents add to this classical model a circulation of inner breath in which Intention (yì 意) plays a major role.”—Catherine Despeux. I hope very much that this note like all others can make your further searching online more easily performed. The author of this article in the Encyclopedia of Taoism is a classic sinologist Isabelle Robinet, and all five quotations are great illustrations of what the Chinese people think on heart-mind, and the Westerners on heart. I like to read and reread my synopsis more and more due to tones in Pinyin which I will be never tired to put but which are not exist in the official edition. ““Before Heaven” refers to the stage before pre-cosmic Yin and Yang join together, while “after Heaven” is the stage after they join and generate the cosmic pneuma. A notable aspect of this process is that original, pre-cosmic Yin and Yang are each enclosed within their opposites in the cosmos. This notion is referred to by the phrases “Yin within Yang” (yáng zhōng zhī yīn 陽中之陰) and “Yang within Yin” (yīn zhōng zhī yáng 陰中之陽).” —Fabrizio Pregadio. “A similar representation of cosmogony is seen in the xiantian and houtian arrangements of the eight trigrams (bagua), the first of which is traditionally attributed to the legendary emperor Fú Xī 伏羲 and the second to King Wen of the Zhou (Wénwáng 文王, r. 1099-1050 BCE). 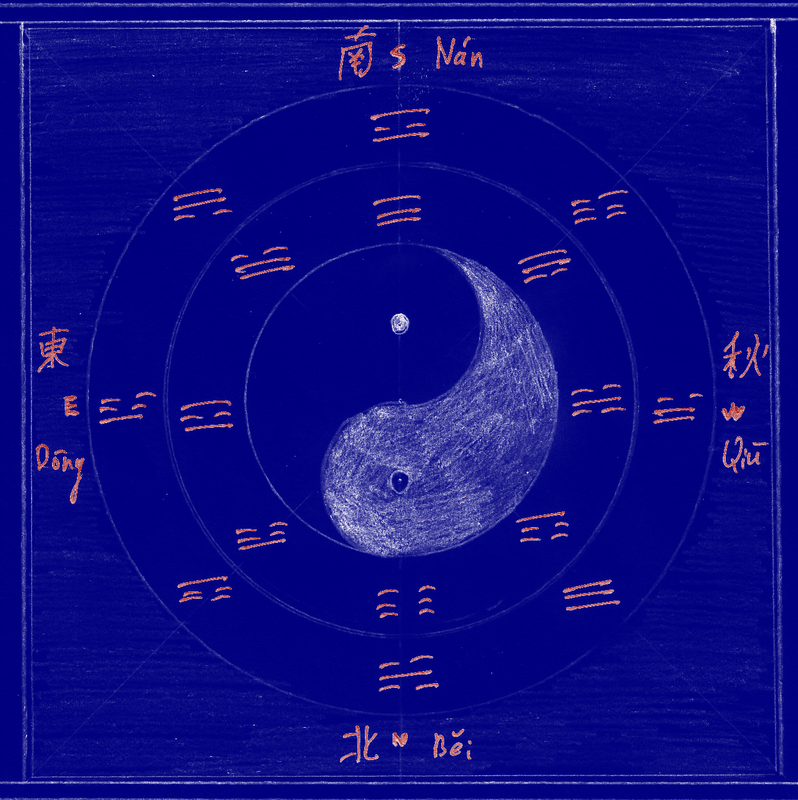 The xiantian diagram reproduces the stage after Original Yin and Yang (kun at due North and qian at due South) have joined their essences and have generated the trigrams li and kan at due East and West; the other four trigrams are placed at the intermediate points. Here the cosmos is generated after li and kan attract each other and join their inner lines. In the houtian arrangement, the positions originally occupied by qian and kun are taken by li and kan, to show that the shift from the unconditioned to the conditioned state has occurred, and that Original Yin is now found within cosmic Yang (the trigram li or Fire), and Original Yang within cosmic Yin (the trigram kan or Water).”—Fabrizio Pregadio. The entry in the encyclopedia was written by its editor, F. Pregadio but the fist time I had seen this theoretical statement about xiāntiān and hòutiān relationships was on the graphical page in Bagua quanxue by Sūn Lùtáng 孫祿堂 (1860-1933), 1990 (actually it was the Russian translation of Chinese publication of 1917, Beijing): Zhang 19 Bāguà xiānhòutiān héyītú 八卦 先後天合一圖. The Fú Xī 伏羲 sequence —xiāntiān 先天—of trigram (the same for I Ching) is Qián Dùi Lí Zhèn Xùn Kăn Gèn Kūn (from left to right and from down to up) and here it is the inner circle in the picture which begins on the South (Qián up) and goes counterclockwise to Zhèn, jumps diagonally to South-West and goes clockwise to Kūn, North (down). The Wénwáng 文王 sequence —hòutiān 後天—of trigram is outer circle and once in the text it goes Qián Kūn Zhèn Kăn Gèn Xùn Lí Dùi and in the picture it jumps every time with Lí and Kăn (representing South-North) and Zhèn Dùi (representing East-West). The Wénwáng 文王 sequence underlines Father-Mother (Qián Kūn), three sons and three daughters relationships in the circle of family. The next Zhang 20 in the book of Sun Lutang will explain how martial artists interpret cosmogony for their use in everyday life. In the beginning there is a scan with glyphs of one graphical page from the Bāguà Quánxué 八卦拳學 book and I placed it here because other pictures from online search very often are just not the same as the author Sūn Lùtáng 孫祿堂 used in his book and teaching. The last picture has only two sequences of trigram, xiāntiān and hòutiān (先天•後天) before Heaven and after Heaven. From time to time we read fiction, or articles, or erotical reports, or longevity guidelines from past times and different kind of immortals are very popular in these sources. That was a main reason I took ’immortal’ to comment from my favorite Volume 2 of Encyclopedia of Taoism. “A xiānrén 僊人 is a person who has attained immortality and may possess supernormal powers such as the ability to fly.”—Miura Kunio. “In early times, the paradise of the immortals was said to be located on islands that could not be easily approached or on the peak of steep mountains that would not be permit easy access for ordinary mortals. Later, this paradise was thought to be in Heaven.”—Miura Kunio. Actually, Miura Kunio tells about other types of immortals too. Celestial immortals (tiānxiān 天仙), earthy immortals (dìxiān 地仙), and ‘immortals’ who had obtained “release from the corps” (shījiĕ 尸解). And for those who have already died without becoming immortal there is another type, the lowest ranked guĭxiān 地仙. Of course, this short comment doesn’t make us totally ready for reading fiction, or articles, or erotical reports, or longevity guidelines from past times, but after the ending of all comments to all volumes of encyclopedia, yes, we all, definitely, duh, shall be ready!